Roadtrip chronicles, no. 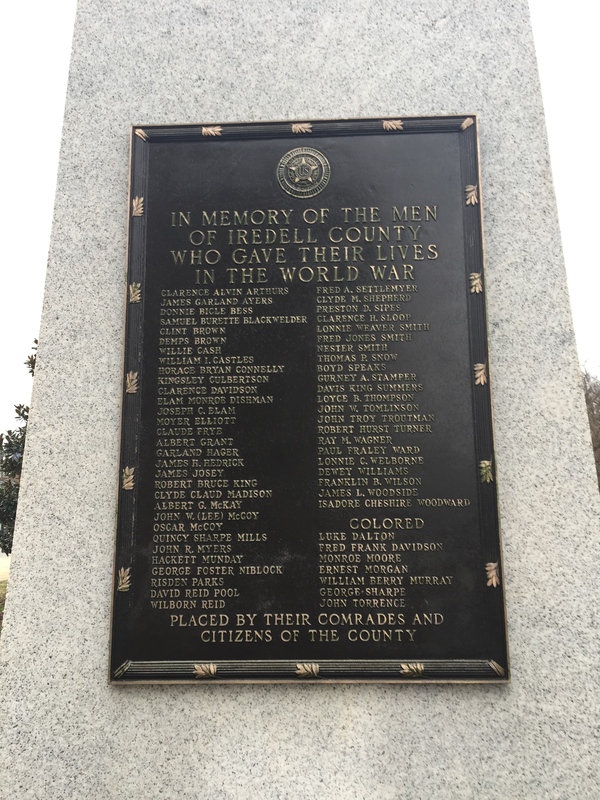 2: Iredell County records. | Scuffalong: Genealogy. Roadtrip chronicles, no. 2: Iredell County records. – Scuffalong: Genealogy. Roadtrip chronicles, no. 2: Iredell County records. — and headed into the search room. I had a few loose questions: did Walker Colvert in fact never file a deed for his acres in Union Grove? Did John W. Colvert file any deeds? Where did Abner and Harriet Nicholson Tomlin live? Who were the William and Lucy A. Dalton from whom Lon W. Colvert purchased his first property in 1906? What was their relationship, if any, with his first wife Josephine Dalton? No recorded deeds for Walker Colvert. No recorded deeds for John W. Colvert. However, John’s wife Adeline Colvert bought two lots on Harrison Street in Statesville in 1912 for $472. Huh? John and Adeline married in 1905. As far as I know, they remained married until his death in 1921. So why was she purchasing property in her own right in 1912? The house built on the property sheltered John and Addie’s descendants as late as 1959, and probably later. There’s a plat filed at Book 33, page 398, for the section of Statesville in which the lots lay. I forgot to get a copy. Abb Tomlin had one recorded deed — for the $40 purchase of an acre of land from William and Laura Pearson on 19 June 1891. The tract adjoined the AT&O Railroad and is probably the same one that Abb and Harriet Nicholson Tomlin‘s son and heir Harvey Golar Tomlin sold to Lon W. Colvert in 1906. My grandmother believed T. Alonzo “T.L.” Hart to be a real estate lawyer. I haven’t found any evidence that he attended law school or practiced law, but there is no question that he knew his way around a land acquisition. Between 1887 and 1922, he recorded 14 deeds for purchases in or near Statesville totaling well over 200 acres. Three small purchases in 1911 and 1920 were from Andy King (1839-1919) and his heirs. King was a farmer and rock quarry laborer whose near neighbors were Logan and Laura Sherrill. → Roadtrip chronicles, no. 3: Eagle Mills ramble. ← Roadtrip Chronicles, no. 1: Statesville cemeteries.